AloeVera.com warns against misleading weather conditions and provides tips to keep skin safe this summer season. While everyone is exposed to radiation from the sun, many may not realize there are three different types of radiation that may impact the skin. As released previously by AloeVera.com, the Eastern and Western coasts are set to have higher than average temperatures this summer. According to an article released by Weather.com on May 22, 2015, July shows much of the U.S. experiencing cooler than average temperatures. The outside temperature may feel cooler and mislead many to believe it is safe to go outside without sufficient skin protection. AloeVera.com covers the dangers of sun overexposure and tips to prevent skin damage. To prevent skin damage even when temperatures seem comfortable, AloeVera.com suggests always preparing the skin before heading outside. Sunscreen with sufficient SPF should be applied and reapplied as directed. Keeping skin hydrated is also a key contributor to diminishing skin damage. Adults and children should drink enough water to counteract any natural loss while outside. During summer months, many flock to the coastal regions for vacations and in those areas it may be obvious to apply sunscreen and otherwise manage the possibility of skin damage. For everyone this summer, AloeVera.com suggests using the same methods caring for skin regardless of current location. The difference between the temperature outside and the strength of the sun is varied and never guarantees a less likelihood of drying out the skin or damaging it. 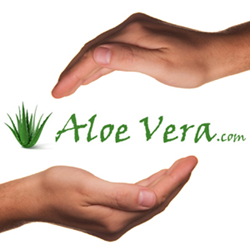 To learn more about the benefits of aloe vera, visit AloeVera.com.